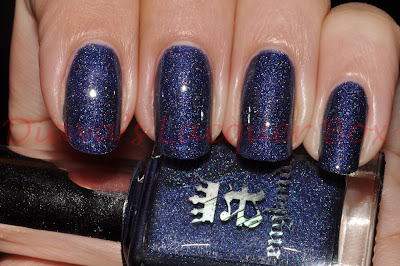 A-England are a relatively new British Nail Polish Brand. 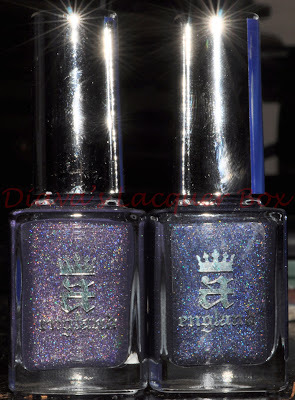 I recently received a promotional e-mail featuring their current nail polish line which is called "The Mythicals" with names like "Merlin" "Lancelot" and "Lady of The Lake" I was instantly intrigued by this awesome theme of Arthurian Legend. The colours looked quite fascinating too, and definitely went with the legendary names. They even have a glossary which gives you information on all the names, which is a lovely touch. I was initially a little set aback by the price of polish (£9.50 a bottle) but when I found out A-England were doing a 20% off special for their Facebook Fans (you can find the link to this promotion further down in this post) I simply couldn't resist trying out a few. 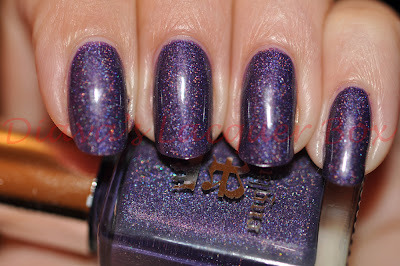 They arrived extremely quickly, and I was overjoyed the second I saw the bottles, these babies looked packed with holo, and were nothing like any other colour I've owned. 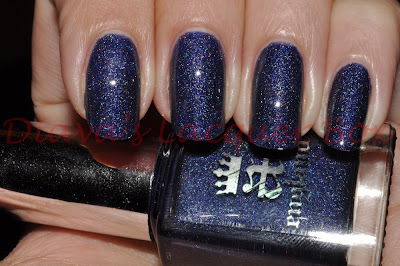 Tristam has the exact same holographic effect of Lady Of The Lake, except it is a dark denim shade of blue, trully a very unique colour, makes me think of a starry night. 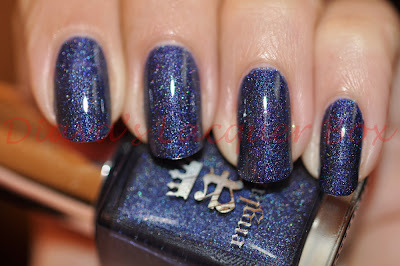 The camera has made the polish look a tiny bit darker than it actually is on the nails, the last pic is most colour accurate. 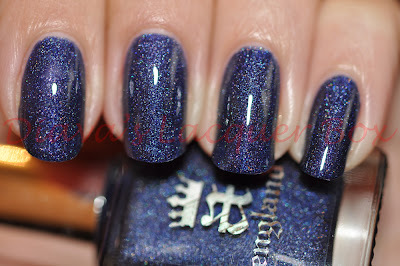 This was also opaque at 2 coats, and applied like a dream, seriously love it! I am completely in love with these two polishes and so happy that I tried A-England, I've got my eyes on Merlin (an awesome silver glitter) for a possible next purchase :D Definitely recommend this brand, gorgeous shades and very creative names!